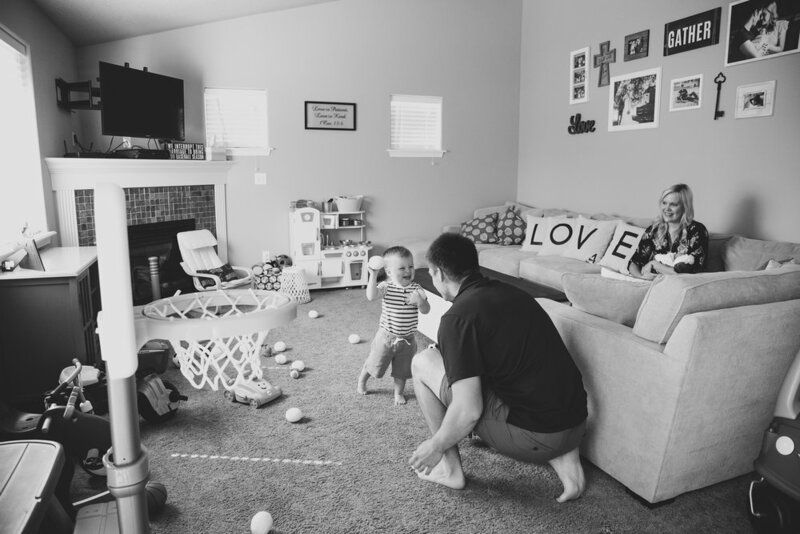 Lifestyle family sessions with adorable families are a favorite of mine! I talk about sharing memories and special moments a lot, and being invited into my client's home to take family photos of them in their space is a fantastic part of that. In this session, I got to see little Mr. Wilson in action with his toys and peak into the precious pink room that was set up just for little Miss Reagan. An abundance of family cuddles, chasing Wilson, and smiles for this little family of four :) And keep your eyes open for the super cute decorations that Morgan has incorporated into their home!